I literally grew up with Mayon always on a distant sight. I remember how our family used to spend some of our Sundays at a beach fronting the sea that separates Albay from my home province Catanduanes. 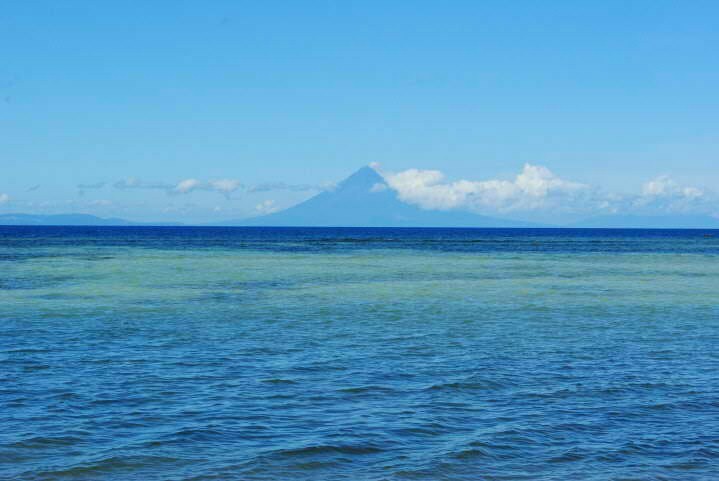 On a clear and cloudless day, we would be treated to a beautiful sight of Mayon, and it would show off its world-famous symmetrical conical shape. Even from afar, we would see that it's not called "the perfect cone" for no reason, it's "magayon!" 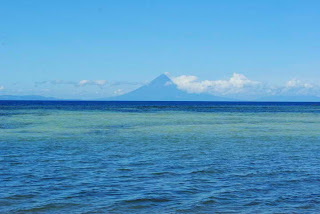 My fascination of Mayon continued when I lived in Legazpi City for four years. Waking up every morning and seeing it lurking silently from outside my dormitory window made me want to thank God for putting me on earth on a spot near such a majestic sight. Seeing a World Wonder in our backyard is a blessing that could hardly be ignored. When my sister Cielo texted me about the online deal she got from Ensogo for a 10-person (P5,500) overnight stay at Casa Ibiza Resort in Antipolo, I got really hyped up and excited. For sometime I had been thinking of a place near Manila where we can spend our family summer outing, and her message came just in time for our parents and Eena's visit in Manila. I immediately googled information about the resort. The photos on their website are absolutely enticing. But when I searched for more details, my excitement waned and easily shifted to disappointment. There's just too many negative and bashing comments from some bloggers who have been to there , and they wrote lengthily about the poor sanitation and bad customer service they experienced in the resort. Despite my qualms about the trip, I was left with no other option but to pursue the trip as planned since the voucher was already paid. 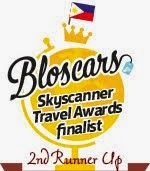 So we called Casa Ibiza for our reservation, hoping that we will be treated well and kindly during our stay. Along with my parents and siblings, we trooped to Antipolo on a hot Friday afternoon. Antipolo City has always been an option for weekend getaways for people residing in Manila. Aside from the fact that it's just an hour drive from the city, it also has resorts and restaurants offering a good view of the metropolis, especially during night time. Antipolo is also home to the National Shrine of Our Lady of Voyage, a church visited by thousands of devout Catholics yearly. Before heading to the resort, we stopped by this church to say our quick prayers. Cielo ushered us to the rear side where a room full of church memorabilia and photos is set. From there, I had the chance to see closer to the image of Our Lady of Voyage. From the church, we headed straight to the resort. We reached Casa Ibiza a little after two p.m. At first sight, I was impressed with the mexican-themed and multi-colored villas and cabanas. The whole place offers a very refreshing sight. The amenities inside include two pools, spa room, gazebo, bridgeway and a restaurant. After settling our reservation, we were led to our villa. The one assigned to us is a 3-floor grand villa which has three rooms, a private balcony, 2 bathrooms, parking garage, dining and a living area with lcd tv. Save the Pine Trees, Save Baguio City! At around 1 a.m. today, the news site Rappler broke the news via Twitter that they are getting reports from Baguio that retail giant SM started "earthballing" pine trees in Luneta Hill. It was followed by disheartening tweets like "first tree just fell," "3 trees down," and "10 trees cut down" shared by some netizens near the site. So as I imagined the scene, it was covertly done early hours in the morning, with barely enough light to carry on the operation, backhoe and crane inside the compound, and massive walls were set up around the site. Clearly, SM is deliberately hiding the massacre from the public eye. According to Rappler, 182 trees will be removed from Luneta Hill as part of the expansion plan of SM Development Corporation. According to the plan approved by the government, additional 76,000 square meters to the existing mall's floor area of 106,000 square meters is going to be converted to a parking lot and entertainment plaza. While SM claims that the pine trees will be balled and not cut down, environmentalists are saying that it will have long-term harmful effects. Rappler noted that the area from which the trees will be moved is one of the few areas in the city where patches of trees remain.